From A Higher English Grammar by Alexander Bain. Incorrectly constructed sentences are called solecisms. My father, my mother, and myself live in Seattle. High school students are done good by having to take three years of science. 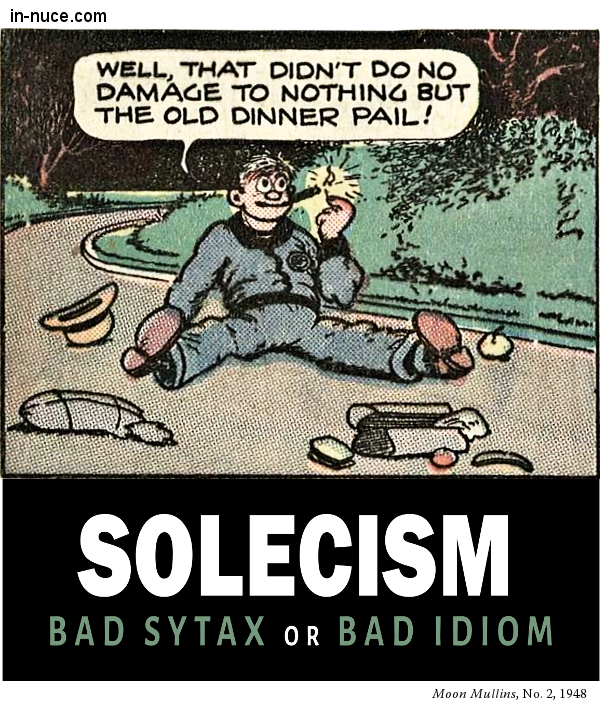 There may be solecisms that are grammatically correct, but they are violations of idiom. If we say “I have hunger,” we do not commit bad grammar; still the combination is not English, it is French. He was acquitted to the crime. We are glad for the chance to serve you. Violation of idiom becomes harder to recognize when living in an area where the violation has become the regional norm.